This practice shows which data and meta-data were gathered in the BALANCE data portal. It includes guidelines for data harmonisation. How to develop a data platform for a project with a lot of international spatial data? How can spatial data of different sources be harmonized? Harmonise the data available, i.e. ensuring that different types of data from different sources and countries can be used together. Develop and describes the platform, a portal for marine metadata relating to the Baltic Sea aimed for communicating data between Balance partners and end users. Outline spatial referencing and data exchange formats as well as categories for the data and links to associated existing standards for data collection and management. Develop Guidelines for harmonising geological data and data used in marine habitat mapping and modelling are annexed. The data portal has been developed, however not running any more. 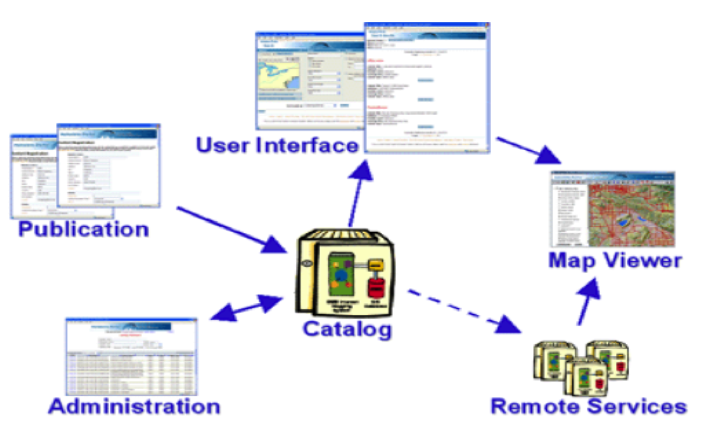 The GIS Portal offers end user functionality (e.g., searching metadata, sorting results, customizing views, browsing metadata records by categories), administrator functionality (e.g., record administration, advanced searches, and sorting) and publisher functionality (e.g., ability to enter metadata, upload documents, and remove previously published documents). In projects with a lot of international partners and resources of spatial information, the set up of a data portal is an efficient way for data communication and dissemination. This practice can therefore form an inspiration for similar projects. However, due to the fast development of new online possibilities, the transferability of the data portal developed in 2005 is rather low.